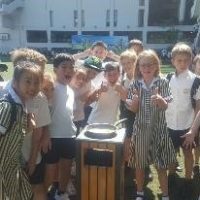 Year 3 students have been learning about heat transfer as part of our Science Unit – The Heat is On. 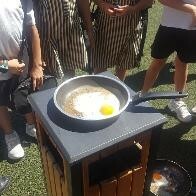 Thursday 31 May, after some high temperature record breaking days, Year 3 decided to see if it actually was hot enough to fry an egg on the AISHK field. 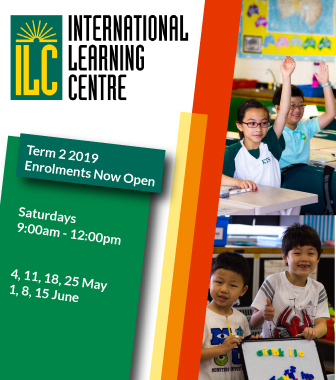 You possibly heard about this in the local media as it was THE BEST THING EVER according to most students in Year 3. 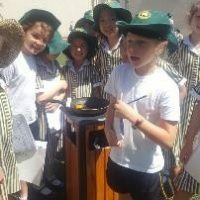 We had several ‘weather stations’ around the school playground and discovered that it was 34°C in the shade and nearly 50°C on the concrete in direct sunlight. We placed an egg in each of two fry pans on the playing area and made predictions. 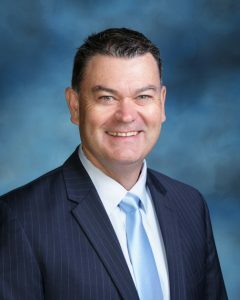 Most students and staff predicted the eggs would fry. 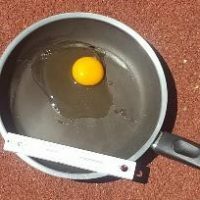 As it turns out they didn’t, as it requires over 55°C to fry an egg. However, after 30 minutes of measuring and recording, students moved back to class to pack up for the day. When we all emerged for home 15 minutes later, miraculously the eggs were fried. 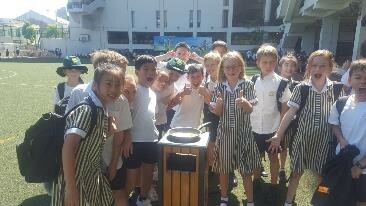 Year 3 students were delirious with excitement at the ‘result’ of the experiment. It must be said that Mr Flugge was missing for 15 minutes around this time. CCT footage has been discovered of a tall, dark-haired man in the kitchen late on Thursday afternoon. Investigations are continuing into the matter.